Pick-up 8:30 by Sunny who's English is good. We spent the day on a walking tour of Beijing. Highlights included Hutongs, Lake, Bell-Drum towers, a rickshaw ride, Imperial university & Confucius temple. Leisurely stroll along pedestrian lanes full of food stalls, cafes & shops. Lunch at a Peking duck wrap stand was excellent. Taxi to Pearl market to buy footwear; then a return taxi to arrive hotel by 6:30pm. 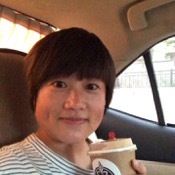 Sunny is the ideal guide for a full intro to Beijing; considerate, knowledgeable & engaging! TOUR GUIDE RESPONSE: Thank you very much for your valuable review Edith .